From blackjack and poker to pai gow, the casino games that we all love and enjoy are evolving. At Plaza Hotel & Casino, we are proud to be one of the only properties in Las Vegas to offer an all-digital poker experience for our guests. Its favorable reception has even been awarded an impressive 4.25 chip rating on PokerAtlas.com. Poker isn’t the only casino game to go digital in the past few years, however. Many of the most popular table games on the casino floor have incorporated digital elements to the experience or have been given an entire digital makeover. While none of the classic casino table games are going anywhere anytime soon, it is nice to have options for players looking for a refreshing experience. For some new players, digital versions of classics can also be a way to become familiar with a game without all of the nerves of “live” gaming. 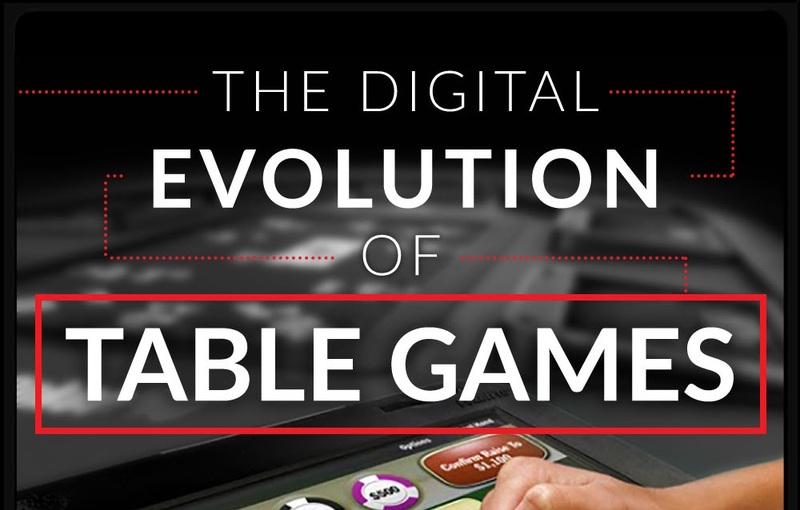 In this infographic, we’ve created a list of classic table games compared to their digital counterparts to show just how far casino gaming has come over the years.